Baldessarinis fragrances are aimed at more adult audience. 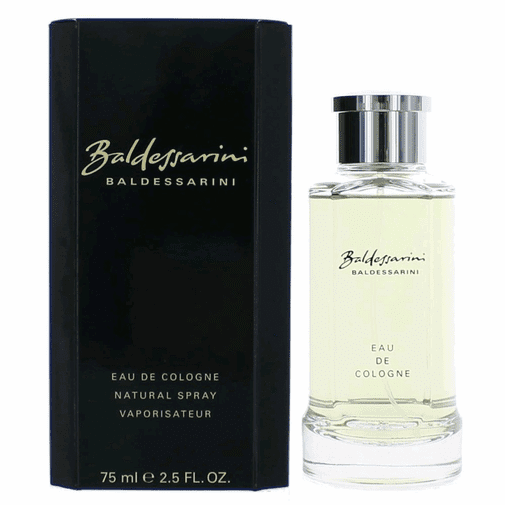 Baldessarini is composed of metal, sensual accords which blend with a fresh, spicy composition. The face for this perfume is Charles Schumann, the owner of the famous Munich bar. This fragrance for real men awakens fantasy, a wish for travelling to distant, exotic countries. In the beginning you can feel a sharp freshness of orange, mandarin and mint, which hide a special masculine metal note in themselves. The spicy heart is composed of patchouli flower, cumin and cloves. The warm and elegant base is composed of sandalwood, spruce, patchouli leaves, tobacco, ambergris and musk. Launched in 2002.